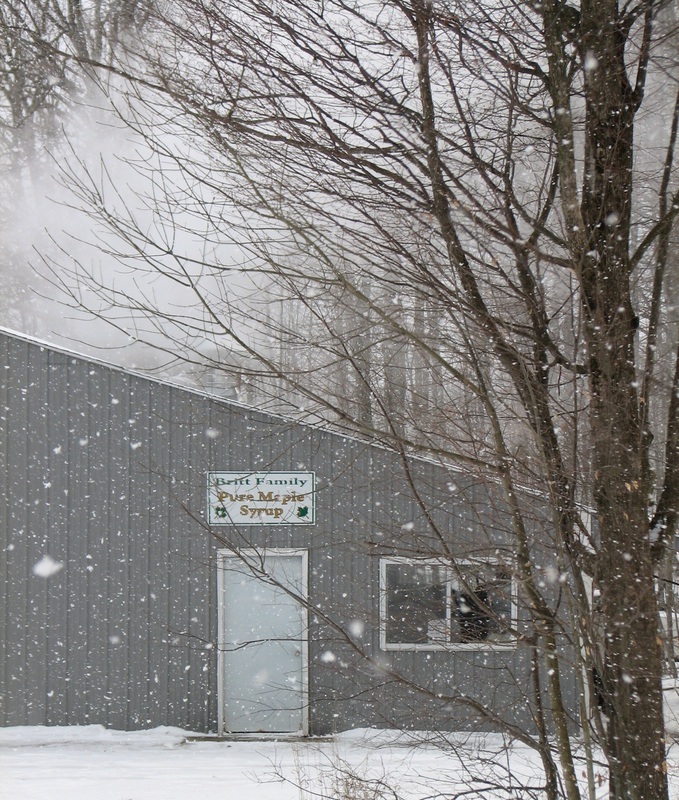 Our sugar bush is located on the property where we live. Our shop is inside the first, gray pole barn behind our home. We began our business in 1998 and currently have approximately 2,200 taps each year. In the spring, the sap begins to run when the temperature freezes at night and rises above freezing during the day. When it looks like this will happen regularly, we tap the maple trees. In this picture, you can see the taps in the trees are connected to tubing. This tubing leads back to a collection tank. 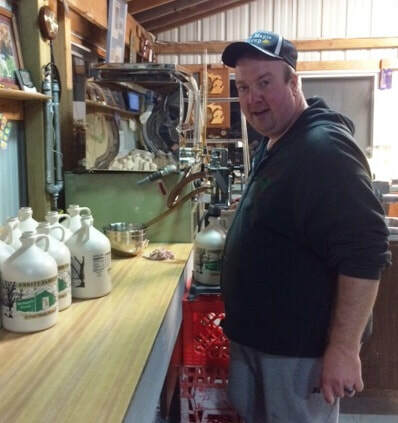 When the 20 gallon collection tank is full of sap, it pumps the sap into our syrup processing building. When it enters the building it goes through a filter and water meter and into a 1,000 gallon holding tank. A tree is approximately 40 years old before it is large enough to tap. So﻿me trees have more than one tap but a maximum of four taps is all that are put into a tree. When sap is collected, it contains approximately 2-3 % sugar. 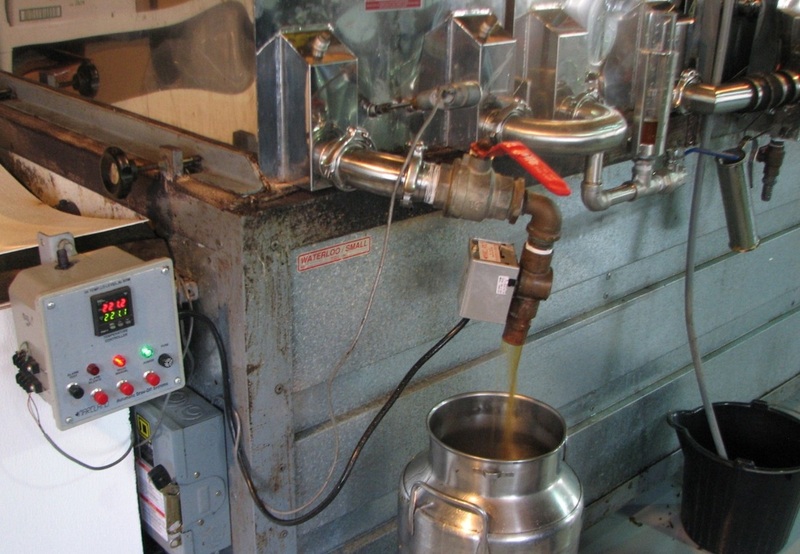 ﻿After the sap goes into the sugar house, it is processed through the reverse osmosis machine (Left). In this machine, 2/3 rds of the water is removed. 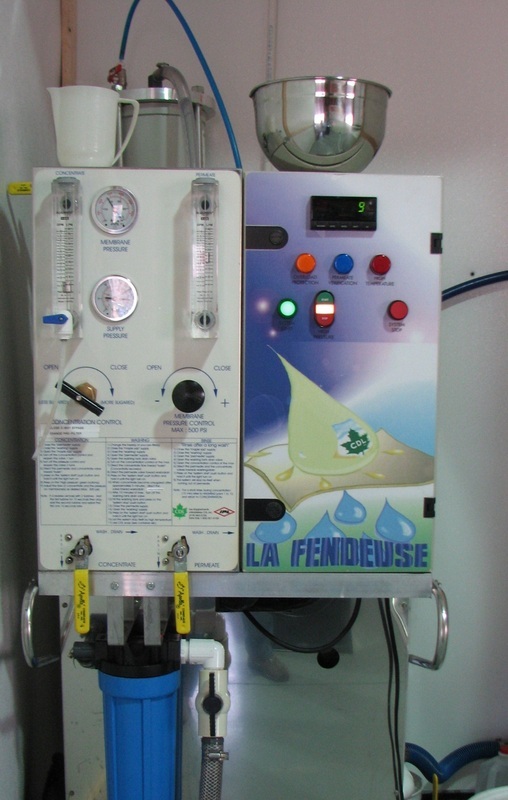 When the sap leaves the reverse osmosis machine, it contains 11% sugar. After the sap leaves the reverse osmosis machine, it flows into a large header tank. The sap is then gravity fed into the evaporator (Left). During this process, the excess water is evaporated until the finished pure maple syrup product is 66 % sugar. (Left) the finished pure maple syrup is pouring off of the evaporator finishing pans. 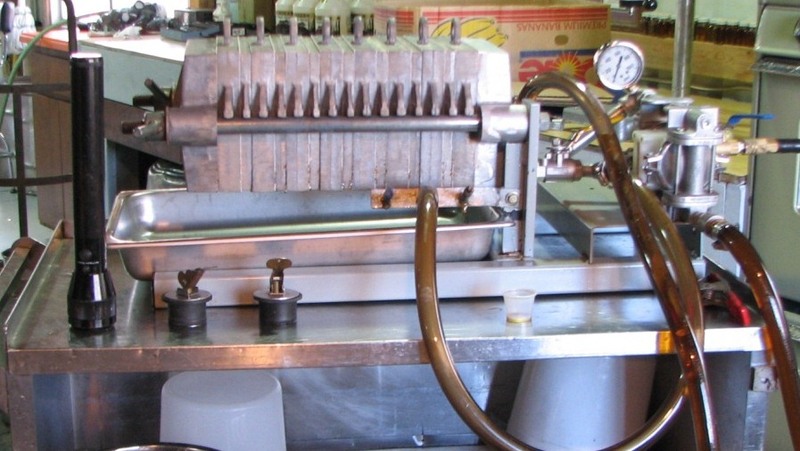 When approximately 30 gallons of syrup have been collected, the syrup is reheated and pumped through a filter press machine. (Left) In the filter press, the hot, pure maple syrup is pressed through filters to remove any sugar sand. Sugar sand is produced in the cooking process.